It's Not That Serious: Am I Fixed? 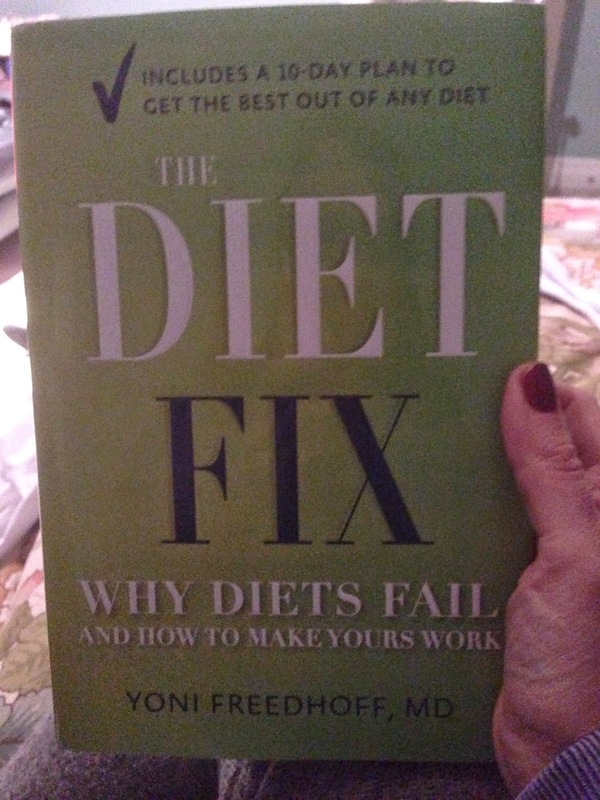 So it's been just over two weeks since I read Dr. Yoni Freedhoff's The Diet Fix. I made it through his 10-day reset plan and despite my initial doubts, have been keeping up with eating as the New Me. In less than three weeks, my stomach is feeling tons better, I'm sleeping better than I have in months, I am in control of my hunger and cravings, and I'm feeling a lot more positive about getting back into shape after my months-long downward spiral that was fuelled by the Polar Vortex and a broken treadmill. 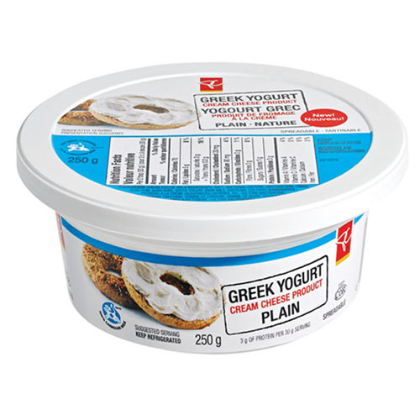 President's Choice Greek Yogurt Cream Cheese. It's tangy and creamy and versatile and healthy. Could I love this stuff more? I am willingly eating healthier than I have in a long time. I found out that eating whole-grain toast with Greek-Yogurt cream cheese and blackberries for breakfast really does taste better, makes me feel better, and is more satisfying than the freshly-baked apple fritter from the mom-and-pop doughnut shop near my son's school. And that's something I thought I'd never thought I'd say. I have also learned that I am not a bad person for giving into my cravings for fritters once in a while. 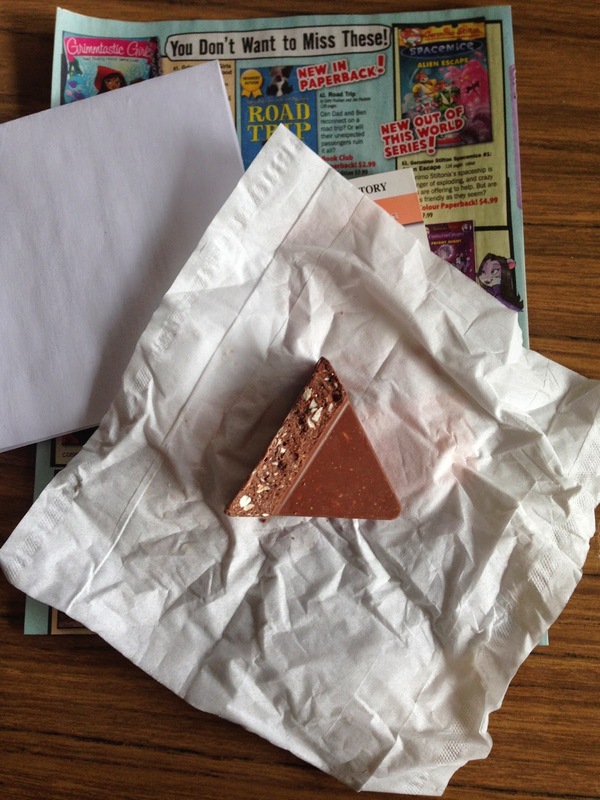 treated myself to on Day 8.
need to eat 10 more pieces. Or chocolate or cheeseburgers. I have also discovered that when you eat healthy all-day long, the cheeseburger sliders I was looking forward to eating that night don't taste as good as I thought they would and I don't feel the need to stuff myself with ten of them. This book will make you work, but it does work. It is literally the first -and only- book of its kind where I've found myself tabbing pages and quoting Dr. Freedhoff's philosophies to anyone who will listen. Such as his thoughts on chicken wings (he's for them) and what exercise and brushing my teeth have in common. The Diet Fix isn't a diet book, it isn't a fad. It's not a "new lifestyle". It's just common sense. So am I fixed? I'm eating better, I'm feeling better, I'm sleeping better, and for the first time in a long time, I feel like I'm in control of my own health. I may not be my very best yet, I am a whole heck-of-a-lot better. I was not at all compensated for my review of The Diet Fix or President's Choice Greek Yogurt Cream Cheese. I just really think they're great and know you'll think they're great, too. Glad you enjoyed Cayla! Thanks for the review and for trusting enough to try.